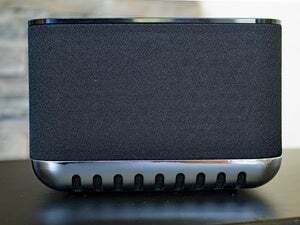 More than just another Bluetooth speaker, the E3 can also connect to your Wi-Fi network and stream music from cloud-based services such as Spotify. 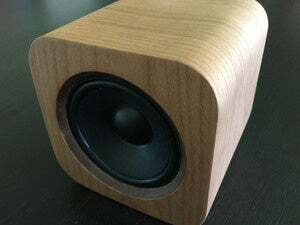 The GGMM E3 is a compact tabletop speaker that combines sleek, elegant design with superior sound. Unlike many speakers in its $100 price range, the E3 isn’t limited to streaming music from Bluetooth sources. You can also connect it to your Wi-Fi network and stream music from DLNA sources or from cloud-based services such as Pandora and Spotify. Available in dark gray, ice blue, or pearl white, the E3 boasts a clean and sleek design with a simple, not overly bright LED clock adorning its metal front. Unfortunately, it’s a 24-hour, military-style alarm clock instead of the more conventional 12-hour variety. It’s an odd choice to be sure, but you can wake up to either a favorite tune or a default chime with a pleasant classical-meets-EDM vibe. If you can live the with clock, the E3 sounds sublime and distortion free even at high volume. I tested it on a range of musical genres and artists ranging from Metallica to Adele. Regardless of the style, the nuances of each remained intact, presented in clear crisp sound. A 40-watt amplifier powers two 2.5-inch active speakers which are augmented by a 3.0-inch passive radiator. Some will be put off by the lack of precise EQ controls, but I found that the presets delivered a wide variety of music perfectly. Buttons on the top of the speaker cabinet can up and down your playlist and store favorite radio stations. You’ll need to download and install the free GGMM app to get the most of the E3 speaker, which is to say you’ll need it to stream music from the cloud or from sources on your private network. You can also use the app to link two E3 speakers and use them as left and right channels. Fortunately, installing the app is a simple process and the app itself is easy to master. But if you just can’t be bothered with that, you can play music via a Bluetooth connection or with a hardwired connection to its old-school port of entry: an 1/8-inch aux input in back. While highly portable and lightweight, the E3 is not a speaker you can listen to on the go. AC is its sole power source—there is no battery alternative—which renders it more of a fixture than something you can tote to the beach (or even from one room to another). You can plug a cable into its rear USB port, however, and charge your smartphone or mobile device. 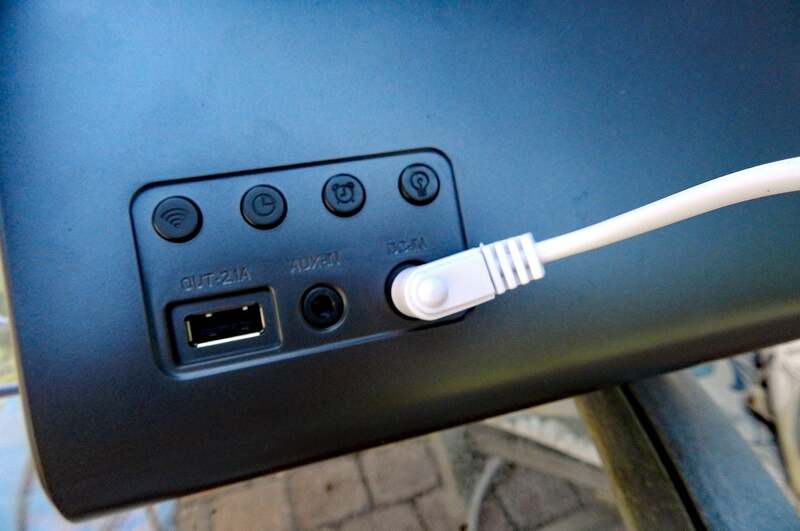 A USB charging port on the back of the speaker can replenish the battery on your portable devices. 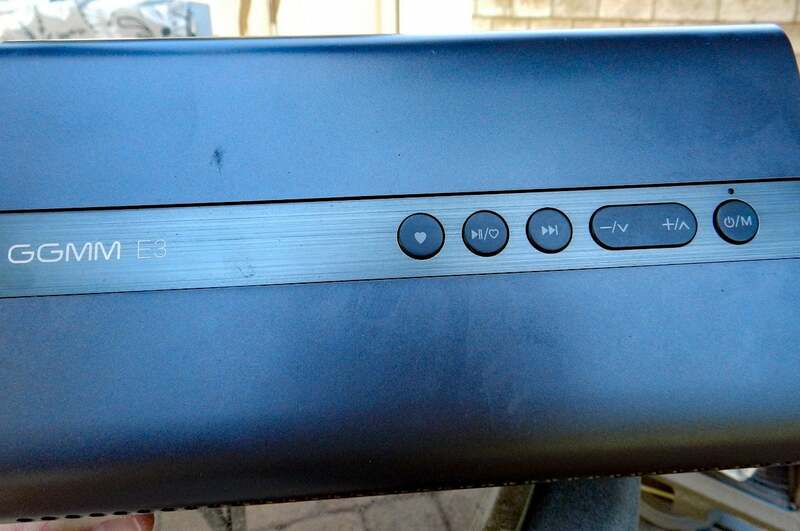 The E3 is a very good value for $100. Most speakers that can stream music from DLNA sources and the cloud cost a lot more and don’t necessarily sound as good. 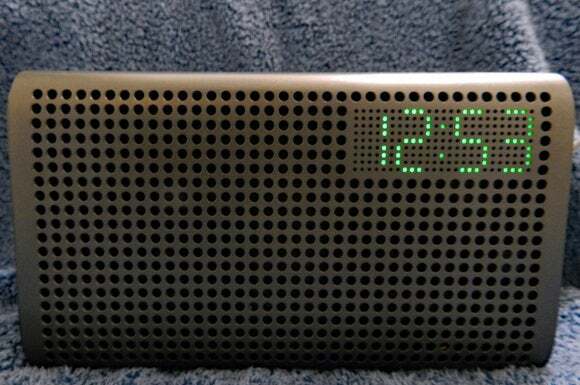 It would be an even better product if it offered the option of running on battery power, and the 24-hour clock is a little strange, but you won’t be sorry if you bring one into your home. 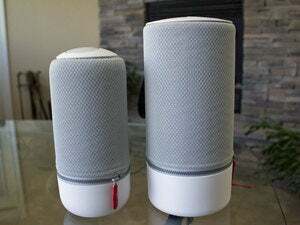 The E3 is a compact speaker that combines sleek, elegant design; superior sound; and flexible connectivity options. Keith is a freelance writer based on the west coast.